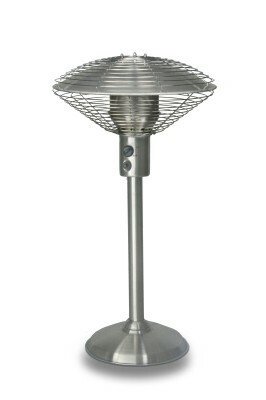 The Sahara table top patio heater is your ideal accessory for warmth and comfort while you socialise outside into the evenings. Integrated within the sturdy stainless steel frame is a varied heat control and Piezo ignition for ease of use. Personalise your temperature with the variable heat control, and safely relax with the anti tilt switch device installed.